David Le/Gloucester Daily Times. 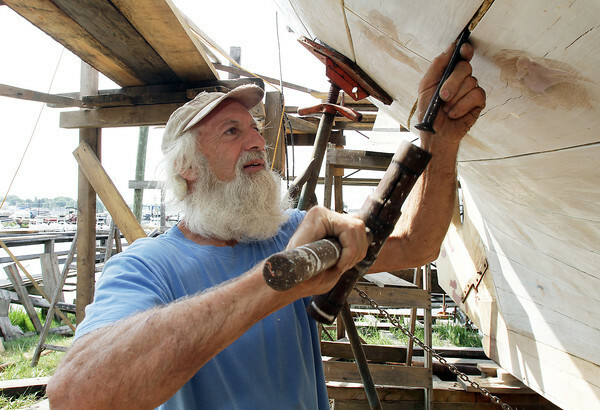 Steve Willard, of Marblehead, works to hammer cotton caulking into the spaces in between planks on the side of the Schooner Ardelle in Burnham's Boat Yard on Wednesday morning in preparation for the launch on July 9th. 6/29/11.